HERNING, Denmark (AP) Five games, five wins. 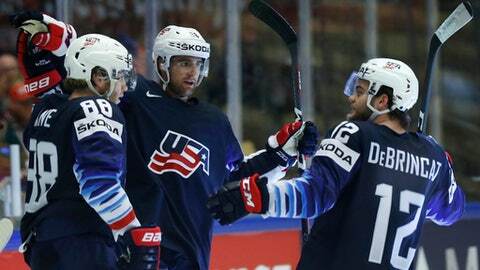 Led by Patrick Kane, the United States has impressed so far at the ice hockey world championship in Denmark. ”It’s a huge honor to represent the United States of America, the greatest country in the world,” Kane said. ”Lot of good players, lot of young guys on this team, so it’s been a fun team to be around,” Kane said.